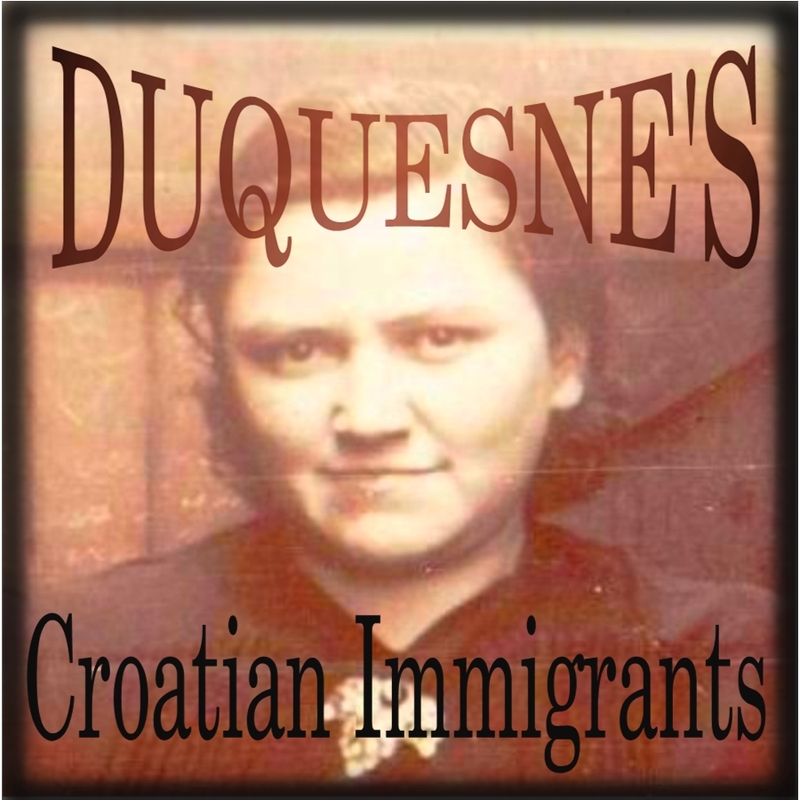 Originally published as a Facebook Page, this research project is designed to Preserve Information and Pay Tribute to first and second generation Croatians who immigrated to Duquesne, Allegheny County, Pennsylvania. Articles and photos will focus primarily on families up through the early 1940s. Many Croatians immigrated to the city of Duquesne at or around the turn of the 20th century to work in the steel mills. Generations of their descendants have since scattered throughout the United States and elsewhere, taking with them old photos and family stories that document the extraordinary lives of their ancestors. Scroll down the page for Links to Cultural and Genealogical information about the coal and steel workers of Southwest Pennsylvania and surrounding areas. A Suggested Reading List pertaining to the coal and steel communities of Southwest Pennsylvania is found on the “Books Suggested” page. Businesses Below the Tracks — The most popular article on this site! Photos and businesses that were located below the tracks in Duquesne, prior to the Steel Mill expansion. Catherine Ann Kučinić Salopek — Personal Interview audio clip with my grandmother, Katie Salopek. Croatian Marriages — pre 1950 — Please HELP identify any faces you may recognize, and please get older generations to see who they can name. Thanks in advance. Excerpt From Stirling/Robb Family Tree by James Stirling. I have submitted this excerpt from our family story, after reading the blog entry submitted by Patricia Angus regarding Nationality Days at Kennywood Park and memories about The Green Gables. Fireworks and Croatian Sluggers — Historical article about the Croatian/Serbian softball team of Old Duquesne. Ghost of Green Gables — A few memories of Green Gables, a business establishment owned by Duquesne Croatians, the Loncaric family. Grandma’s Chicken: Comforting Generations — Yummy memories of Grandma Katie Salopek’s Breaded Chicken Recipe. Lost Croatian Hall — Found! — Yes, Virginia, there was a Croatian Hall below the tracks in Duquesne before the mill expansion! Remembering Nick Lee Hollow… A playground for many children was once a neighborhood that ended with a catastrophic flood. Links to Cultural and Genealogical information about the coal and steel workers of Southwest Pennsylvania and surrounding areas. Crawford St I will check with a cousin who is older than me and might know.